It's called the Chicken-nomiyaki and you can get it at Tokyo Tokyo. (SPOT.ph) We've spotted what seems like a potential food trendsetter: the Chicken-nomiyaki from Tokyo Tokyo. They've created an addition to their roster of combo creations such as the Makirrito (California maki plus burrito) and the Sriracha Beef Donburi (beef misono on top of sriracha-flavored rice). 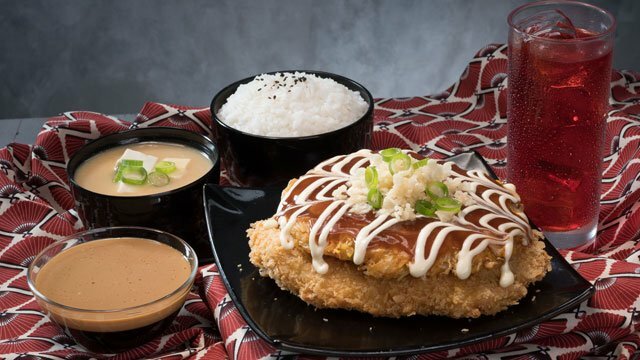 The Chicken-nomiyaki is a mash-up of two traditional Japanese dishes: chicken katsu (breaded, deep-fried cutlet) and okonomiyaki (savory Japanese pancake). 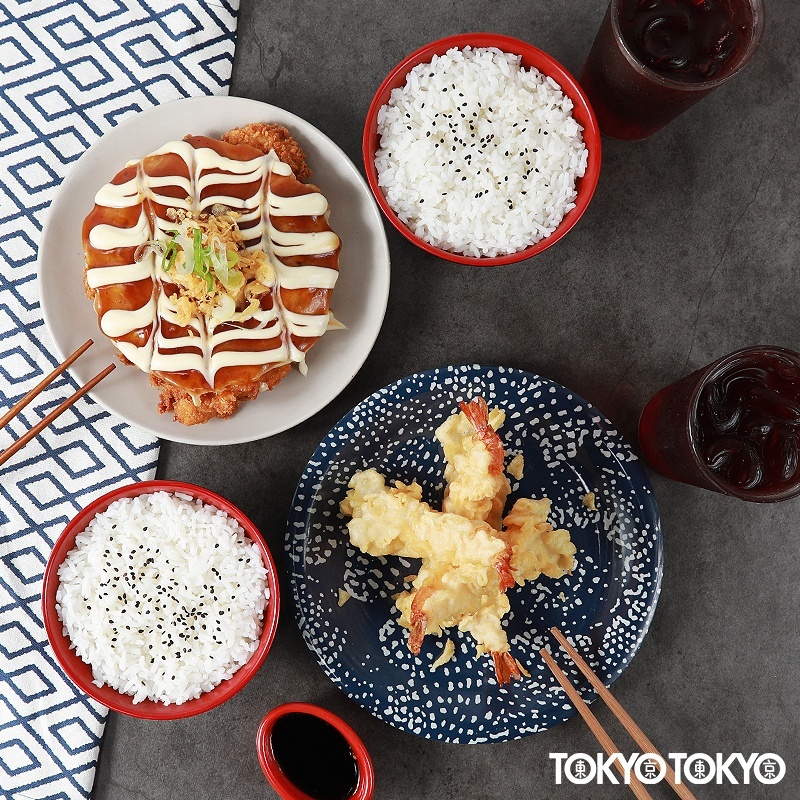 It combines Tokyo Tokyo's Big Chicken Katsu topped with their Okonomiyaki Japanese Pancake, which is drizzled with tonkatsu sauce, Japanese mayo, tempura crumbs, and onion leeks. Drooling yet? We haven't even talked about how filling and fulfilling the Chicken-nomiyaki is, thanks to its generous portions and budget-friendly price points. The Big Chicken Katsu a la Carte (P200) is good for sharing—but you may want to eat it on your own. 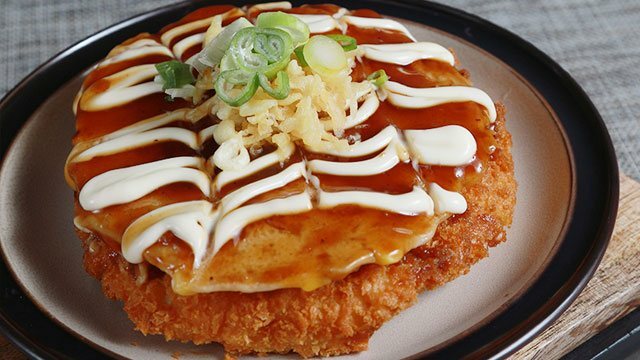 This chicken dish goes well with the Okonomiyaki Japanese Pancake and comes with unlimited rice. If you've got a big appetite or simply just want to treat yourself, you're in luck. The complete Chicken-nomiyaki is also part of the Bento Meal (P260), which comes with a bowl of unlimited rice, a side of either jelly dessert and miso soup (as shown in the photo below) or California Maki, and a glass of Red Iced Tea. You may even go for the Sumo Meal (P345) and split with a friend to get the most bang for your buck. It has the Chicken-nomiyaki with four pieces of Prawn Tempura, two bowls of unlimited rice, and two glasses of Red Iced Tea. What are you waiting for? Time to head to the nearest Tokyo Tokyo branch to get your fill of this original Japanese creation!